It was easily expected for us that this client, who is also a friend, could keep living there for a long time by having the sense of arranging the house, being a graphic designer. 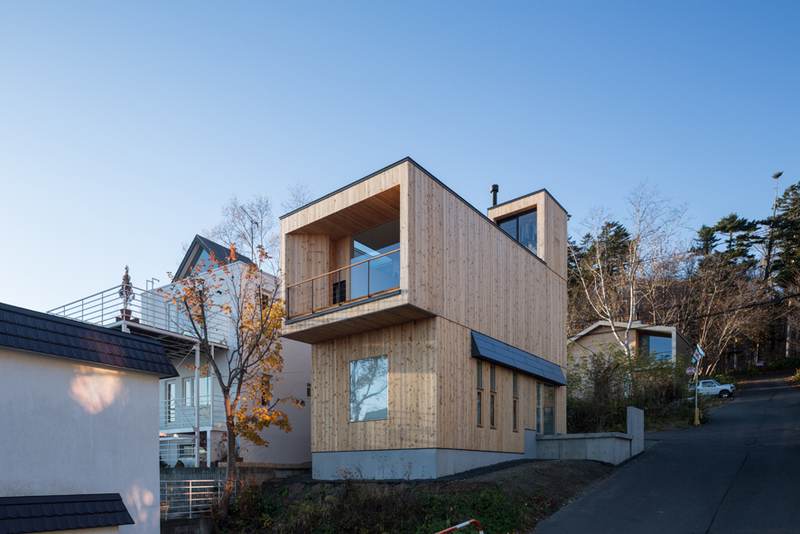 On the other hand, it was also a project with a lot of uncertainty factors in a beginning stage, such as child's future presence and a possibility that the part of the house used as a gallery or a mini photography studio. From these conditions, we planed to prepare a box “can be also used as a residence”, just like a barn with a simple space having the necessary minimum function and equipments along the surrounding environment, which secures the comfortable life in the cold and snowy district. Since the site area in the Mt. Moiwa’s side is designated as scenic zone, the arrangement of the building was decided automatically, by clearing the setback of 3m, 2m, and 1.5m each from the street facing the corner land. 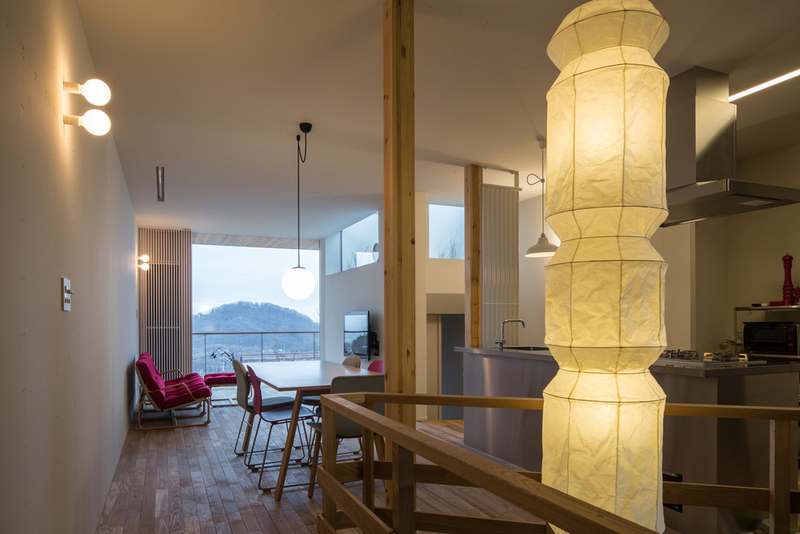 We secured flexibility that responds to changes in the first floor use, by setting the second floor as a main space with cooking, bathing, and washing all gathered in the upper level, so that we could keep the attractive view of Sapporo city center and Ishikari Bay. On the self built wooden base, the columns and lighting switch stands were arranged according to the future partition wall installation with 3*6 veneer boards available at DIY store. The lateral bridging was placed at the height can also be used in the installation of the storage rack while satisfying the legal limit. The ceiling height which seems possible for the loft installation, is the result of providing a step on the concrete foundation in accordance with the inclination of the ground surface, also contributing to a construction cost reduction. We aimed to build a house like a “barn” which can become their “own home” in the future, by increasing the attachment while the client repeats the renovation in their own way according to the change in their lifestyle.